The P-3 Orion has served several countries for decades and is a widely respected platform. Finding and fielding a capable replacement for such a platform is a difficult task. After several cancellations, potent replacements have been found in the form of P-8A and P-1. 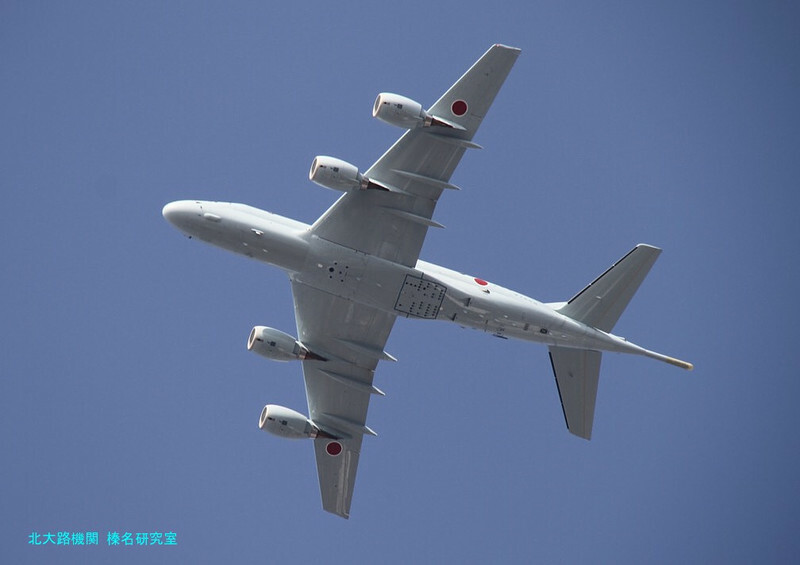 The Americans will replace their Orions with the P-8A Poseidon while the Japanese have developed their own MPA (Maritime Patrol Aircraft), designated as the P-1. The Americans plan to abandon the low and slow tactics used by the Orion for hunting submarines and use the P-8 at high altitudes, working in conjunction with drones to get the job done. On the other hand the Japanese have designed the P-1 to operate at both low and high altitudes and to be the perfect replacement for the P-3. Lets compare these modern MPAs and analyse their advantages and disadvantages. Finding a good replacement for the P-3 was a tough task. 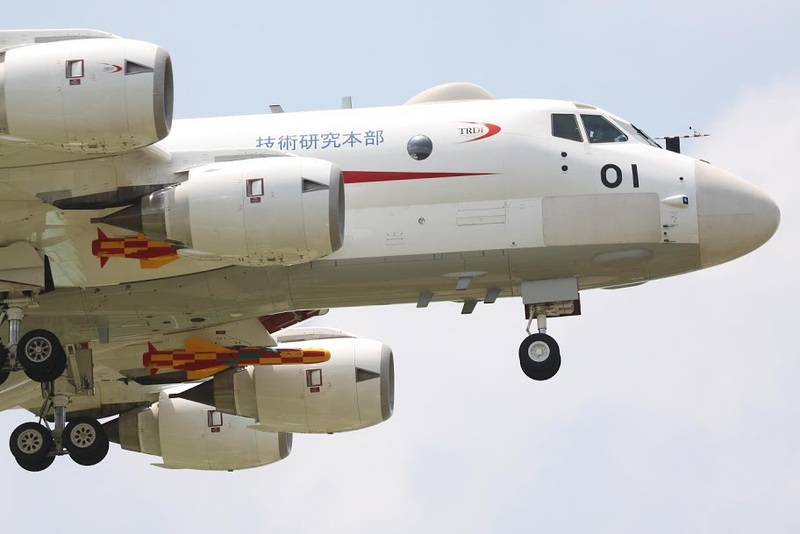 Several options including re-engined P-3s, new built P-3 designated first as P-7 and then as Orion 21 along with a new MPA based on a different platform were analysed. After years of deliberations and cancellations a design offered by Boeing was selected. It utilized the 737-800 as the platform for the new MPA. The selection of Boeing 737 as the platform for the new MPA is justified as it is one of the most produced passenger airliners with 1000s more in the order book. This meant that production costs were low while sourcing spare parts was much easier and cheaper compared to a new platform built from scratch. There was a problem, 737 was not as good at low altitudes as the P-3 was. This called for a major change in tactics, weapon deployment procedures, sensor suites etc. which meant that the P-8A was going to operate like no other MPA in service today. 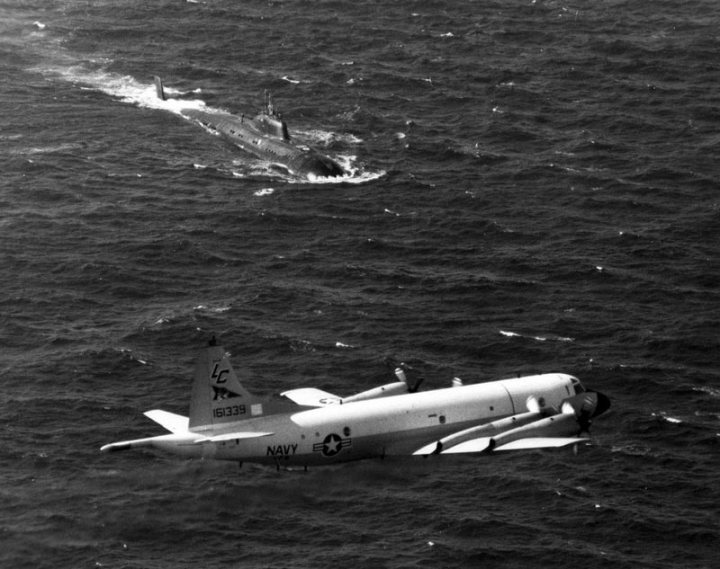 P-8A with its predecessor, the Orion. 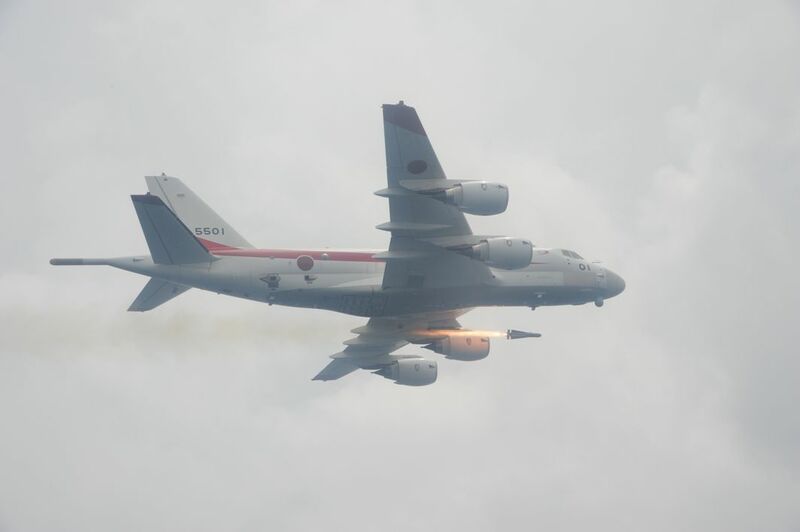 The Japanese on the other hand also needed a good replacement for their massive P-3 fleet. They were also looking at the the P-7 programme which the Americans had started to replace their P-3 fleet. They decided to develop their own MPA after the P-7 programme was cancelled. The P-1 was developed as a clean slate design intended to operate low and slow just like its predecessor but capable of utilizing the advantages of higher altitudes. The costs were certainly higher but the Japanese got something they had desired instead of a platform which caused a major change in tactics, weapons deployment etc. Why is the P-1 more suited for flying low and slow compared to the P-8A? As stated in the previous section, the P-1 was designed ground up for operating at low altitudes at slow speeds while the P-8A is not so good in that domain. The answer to this question lies in the aerodynamics of both aircraft. Lets start with the P-8A. It is based on the Boeing 737-800 which has been modified with -900’s wings fitted with raked wingtips (raked wingtips are added to long haul commercial airliners as they are more suitable for long duration flights). Like all airliners the 737 is designed and optimized for flying at altitudes of 35,000-42,000 feet. Their engines, wings, fuselage etc. are all optimized for these altitudes. The leading edge of 737’s wing is angled at 25° with respect to the transverse axis of the aircraft while the trailing edge is also swept making it a swept wing. The wing area of a Boeing 737-900 without the raked wingtips is 124m2 (it will be slightly higher with them) while the wing span of the P-8 is 123ft which is slightly more than that of 737-900 thanks to the new wingtips. The P-1’s leading edge is angled at 22° but its trailing edge is almost straight, thus the P-1 has straight wings with swept leading edge. The wing area is around 170m2 while the the wing span is smaller than the P-8 at 116ft. The significance of the figures mentioned above are as follows. This pic gives shows its geometry while showing how big the P-1’s wings are with respect to the fuselage. Swept wings are more suited for high speed and high altitude compared to straight wings. Angle of sweep is directly proportional to stall speed, thus P-1 can operate at a wider range of speeds than the P-8 can as its stall speed is lower. Larger wing area also reduces stall speed while increasing the agility of the aircraft. 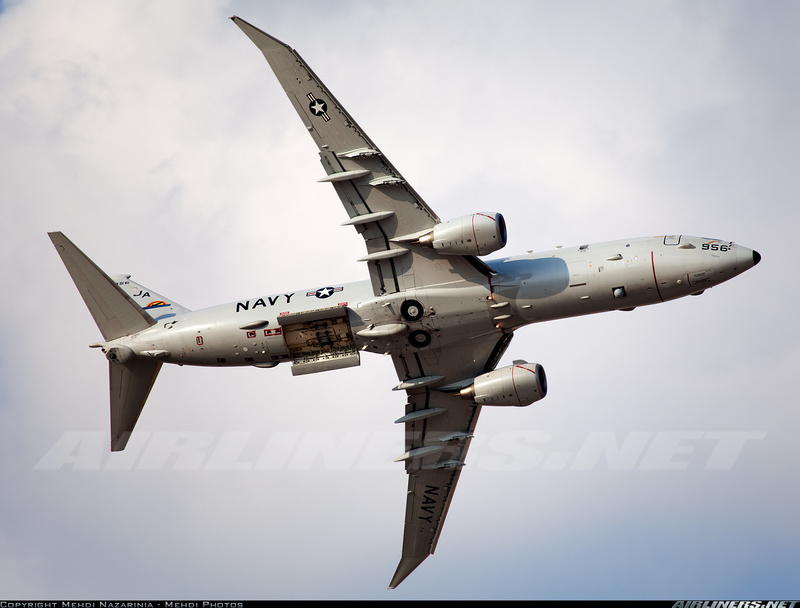 This pic of the P-8A shows the angle of sweep of its wings and their slenderness. The P-1 has some other advantages as well. Just like the P-3, the P-1 is powered by 4 engines and is capable of shutting 2 of them down while cruising on the other 2. In the case of P-8A, it is less safe to shut an engine down and fly on the other. On the other hand the P-1’s MTOW (Maximum Take Off Weight) is 5 tonnes less than the P-8A while having the same engine output (4x60KN vs 2x120KN) and a larger wing area which can mean slightly better performance. The cockpit windows on P-1 are much larger than the P-8 thus increasing the field of view for the pilots. Should we just reject the P-8A for being under capable at low altitudes? The answer is a clear NO!! The P-8A marks a big shift in operational procedures used for ASW. The United States Navy is developing new procedures and thoroughly testing them before they are written down for operational usage. 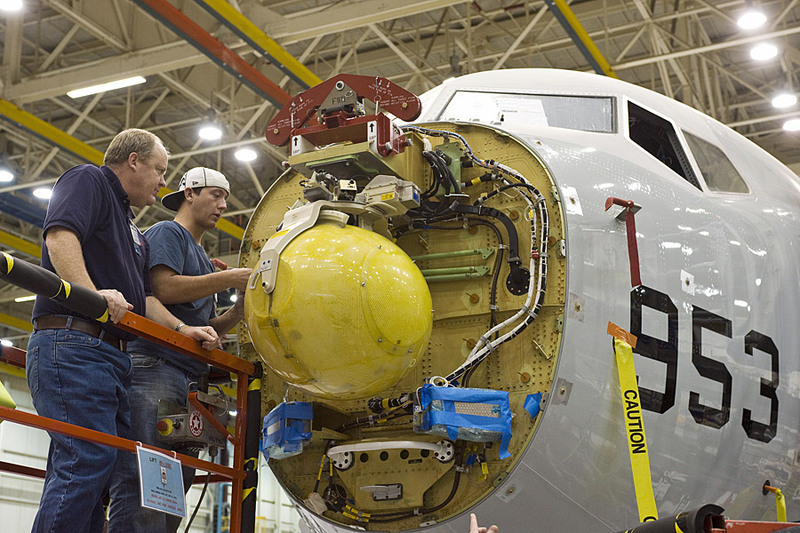 They are also developing a wide variety of new hardware to make sure that the P-8A is as effective higher up as it should have been while operating at lower altitudes. Torpedoes will be receiving Fish Hawk guidance kits so that they can be accurately delivered from higher altitudes. The sonobuoys will also be modified for deployment from higher altitudes. On the other hand, the P-8A isn’t that bad at lower altitudes either. Its engines have been modified for better efficiency at lower altitudes. A model of Fish Hawk guidance kit. Operating at higher altitudes has its advantages as well. The horizon for sensors is much larger, fuel efficiency is higher while much larger area can be covered in the same amount of time. The P-8A will be working alongside drones which include the massive MQ-4C Triton currently under testing. The absence of MAD (Magnetic Anomaly Detector) is also justified as it doesn’t work as well from higher altitudes. 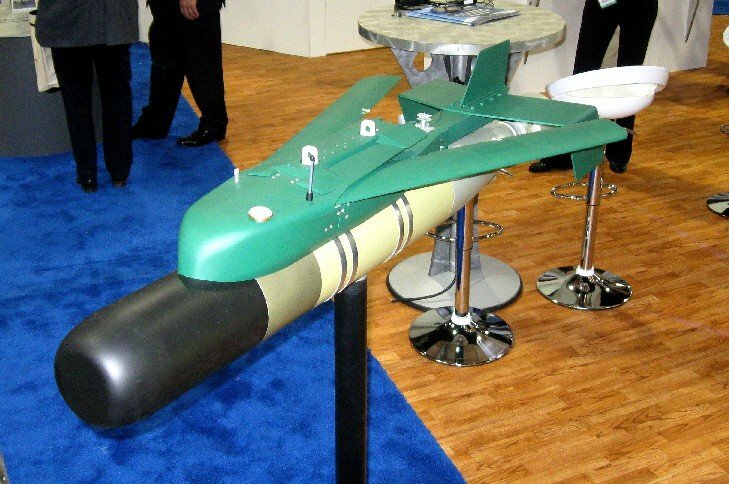 BAE is currently developing MAD equipped drones to make sure that the lack of MAD on the P-8A is taken care of. 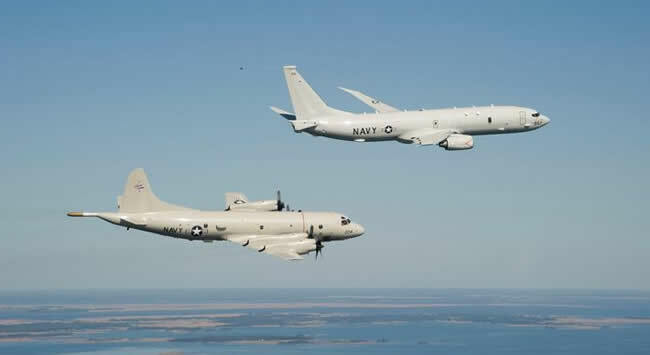 Thus the P-8A can comfortably operate at high altitudes while marshaling its drones for detecting targets and destroying them as and when needed using onboard weapons. Poseidon is capable of conducting long range sorties which can be further extended by using air to air refueling. Official figures quoted by the Royal Australian Navy, one of the international customers of the P-8, claim that it can stay on station for 4 hrs at a range of 2200km from the nearest base. Thus the range is around 7500km considering a cruise speed of 850kph. The biggest advantage the P-8 has over its prop driven predecessor is faster transit time between base and station, this translates into quicker reaction and more time on station. It is powered by 2 CFM-56-7B engines just like the other jets of the 737-NG family. These engines produce a combined thrust of 240KN and have been tweaked to offer greater efficiency at low level. 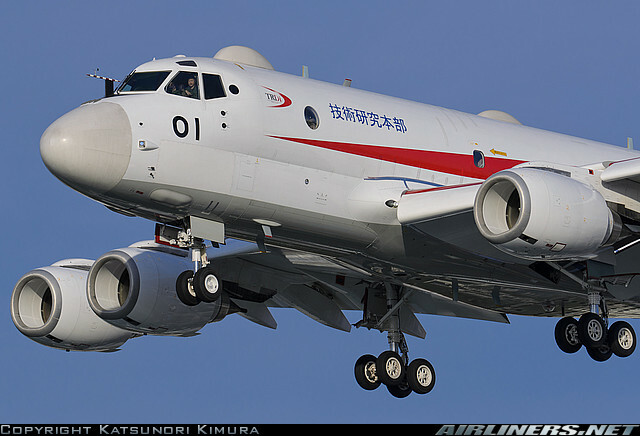 The jet’s primary sensor is its AN/APY-10 multi mode radar present in the enlarged nose. The radar is primarily used for maritime surveillance and can detect surface targets upto 370km. It can also be used for ground mapping, ISAR, target identification etc. The Indian P-8Is have an additional air search mode on their AN/APY-10s. It has an EO/IR ball positioned under the forward fuselage which comes in handy during low level flights. An ESM array is mounted between the main landing gears in a specialized housing. Internally, the P-8 has 5 operator stations to process all the information coming in from the sensors. Additionally, the Poseidon can carry the AN/APS-149 LSRS (Littoral Surveillance Radar System) which is a very sensitive AESA radar. It is designed specifically to work in littorals and is said to be sensitive enough to detect a group of people. It can provide high resolution images while acting in SAR and ISAR modes thus the targets can be easily identified without the need of EO/IR sensors. Another mysterious pod was seen being tested on the 8th P-8I after it was stripped of Indian markings. It is most probably a SIGINT array. The P-1, just like the Poseidon also sports an impressive range of over 8000km. The on-station time will thus be very similar to the P-8A. The P-1 however, can extend its on-station time by shutting two of its engines down due to the added redundancy of 4 engines. It uses 4 IHI F-7 turbofans which produce 60KN of thrust, thus the total thrust produced by the P-1 is equal to that produced by the P-8A. The P-1 has 4 arrays of Toshiba HPS-106 (1 in the nose, 2 on the side just below the cockpit and 1 in the tail). This high performance AESA can be used for surface search and air search, thus allowing the P-1 to act as a pseudo-AEWAC. Its ESM antenna is mounted on the top side, just behind the cockpit. Unlike the Poseidon, it sports a MAD which can be used to detect submarines with the magnetism of their hulls. Magnetic Anomaly Detector uses the change in the local magetic field caused by a submarine to detect it. A submarine is essentially a large mass of steel which has different magnetic properties compared to the surrounding water thus they change the local magnetic field. The disadvantage of this system is the low detection range. The jet has to fly low and slow to make use of this capability which the P-1 is designed to do. All of the information collected by the sensors is displayed at 4 operator stations. We can see the starboard side array, nose array of the AESA radar and the ESM housing on top of the fuselage. 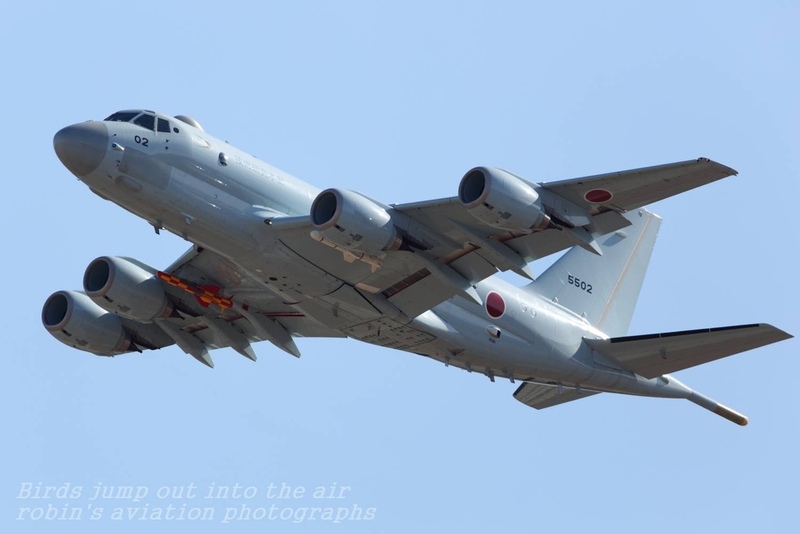 The Kawasaki P-1 might not be as successful internationally as the P-8 but it has good domestic backing as the Japanese have ordered over a 100 P-1s for replacing their P-3. The P-8 on the other hand is in active service with 2 countries while another 2 have signed or will be signing deals for their jets soon. Both the Americans and the Indians are happy with their jets and the later plans to order more P-8s in the future. The P-1 has barely entered service but we can assure ourselves that it will properly serve all the roles it was designed for. Overall both of these jets showcase different ASW philosophies which their operators are happy with. Thus we cannot call any of them more capable than the other for whatever reason. 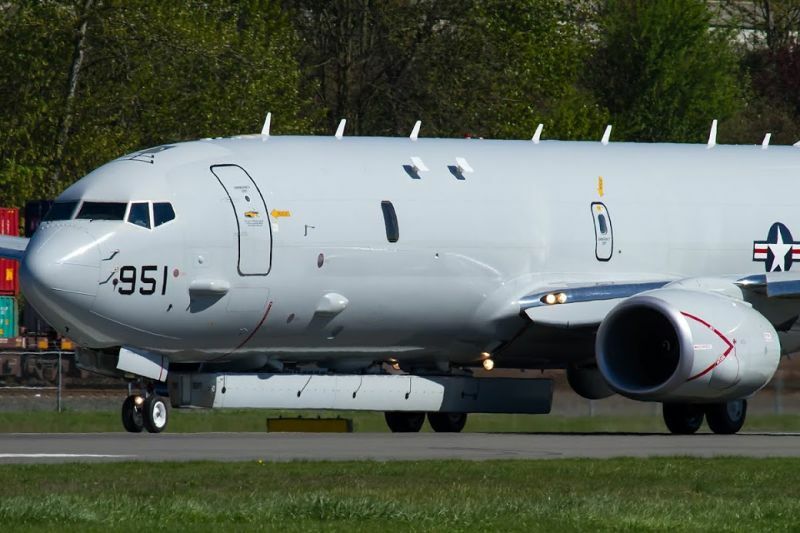 BTW, did you know that the APY-10(I) radar on the P-8I Neptune will not feature the Ultra High-Resolution ISAR capability? 1-3Ft SAR capability has also been removed. Whereas,as you mentioned A-A target detection/tracking mode has been added,as well as an Interleaved Weather Capability. Both are awesome planes. I would go with the P1 , because of it was build from scratch to hunt subs. It has 4 engines and that it can fly slower more suited to track and hunt subs. We are not tracking a fighter jet. a lucrative pricing to its other allies on the same cause would prove fruitful and have P 1 time tested as well ! The RAN does not operate fixed wing assets. The p8s Australia purchased are operated by the RAAF. Both very attractive options. The proven airframe and storied history behind Boeing and the clean slate approach from Kawasaki. I am sure the extra writeup on the P8 is based on it already being in service and having more information available. The P1 still has a lot of room to grow and likely will do so when it gets some outside customers. For Canada, I would like to see more about the P1, It might be time for a change, and considering the build high quality of products from Japan, It should certainly be ‘on the table’. The recent political storm between Trump and Trudeau over trade might make this a bargaining chip too. the P-8 is the tail wagging the dog. so to accommodate the weakness of a passenger plane you change the proven operational procedures. like building a river to justify the newly constructed bridge!